Foodies, queso-lovers and taco fanatics unite! 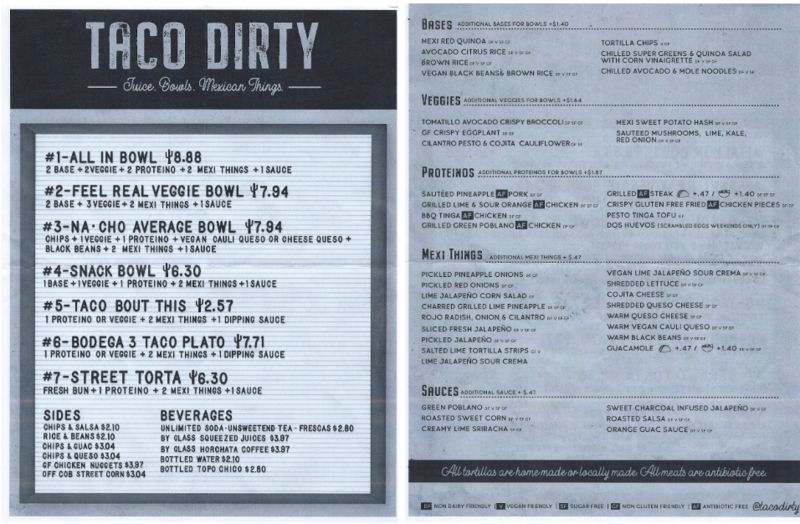 CRG has done it again with their newest concept Taco Dirty. As the eighth person in all of Tampa to try this new hotspot on the corner of Cleveland and South Howard, I will tell you that it’s a must-try if you’re in the area. Not only do they have Green Lemon queso to-go for only $3 (!!!!!!!) but they have an authentic Mexican flavor to all of their food options. Yesterday I had the Na-cho Average Bowl: tortilla chips topped with sauteed mushrooms, kale, red onion, BBQ Tinga chicken, rojo radish and cilantro with warm melted queso and creamy lime sriracha sauce for dipping. Yesterday was a big day for CRG Partner, David Pullman. When we spoke before the opening he told me “our food will be like an old-school taco stand in the middle of nowhere meets the health craze of our generation.” I believe he succeeded. The people of Tampa were thrilled about this new CRG concept and it showed during the opening yesterday! 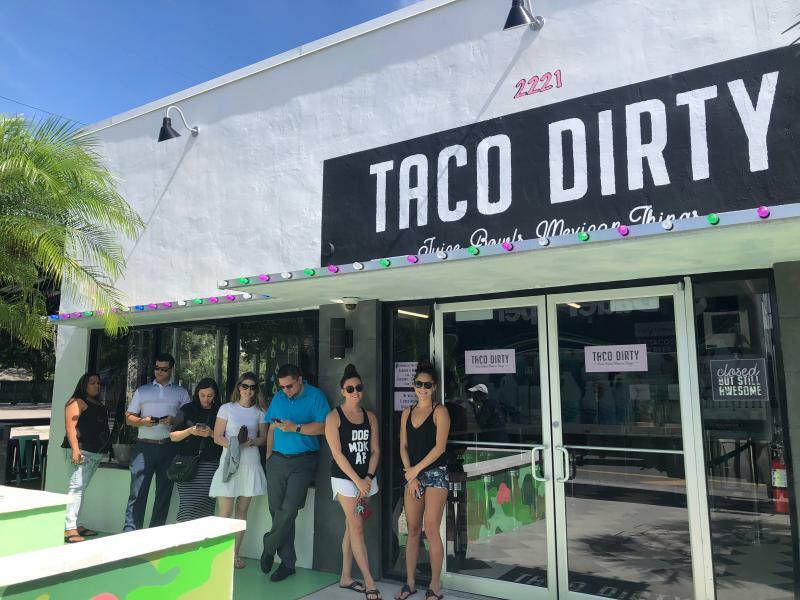 When I arrived at 10:45 a.m. there were already seven people in line before me and as the Taco Dirty staff made finishing touches to their new concept, so we waited patiently in line. One woman even told me that she drove all the way from Carrollwood to be one of the first to try Taco Dirty! So CRG, you did it again! 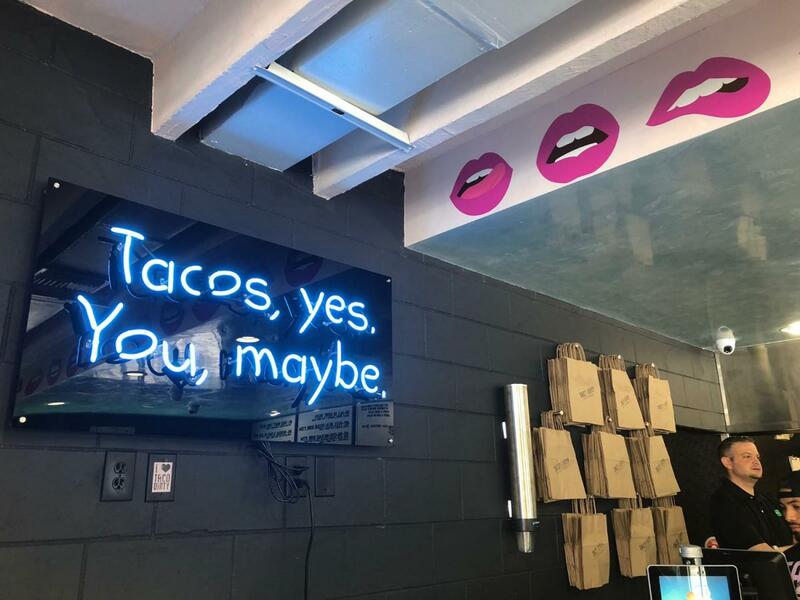 With these authentic Mexican flavors and trendy decor, Taco Dirty is bound to be one of SoHo’s next hotspots. If you ask me, I think it’s the new and improved Fresh Kitchen! For more information on local restaurants in Tampa check out 813area, your free guide to your favorite city!